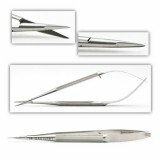 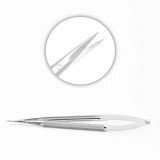 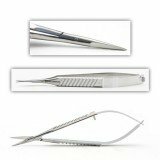 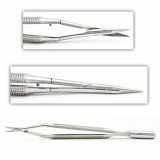 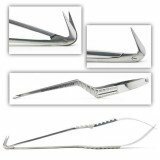 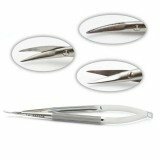 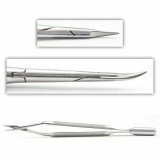 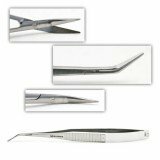 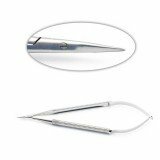 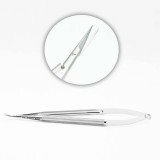 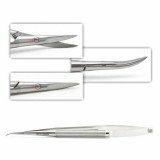 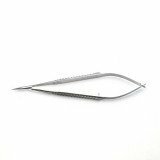 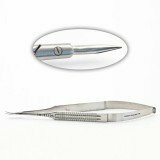 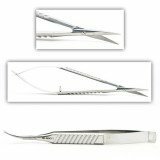 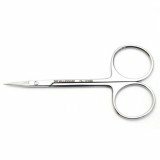 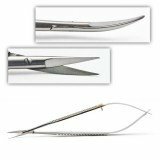 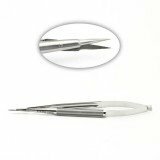 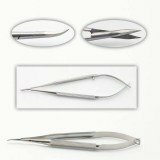 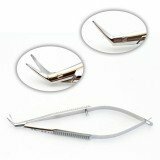 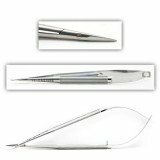 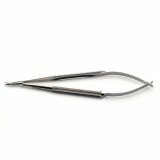 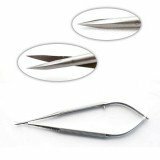 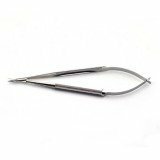 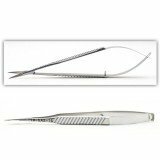 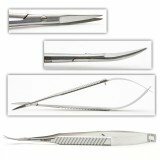 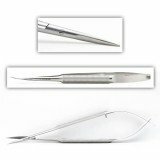 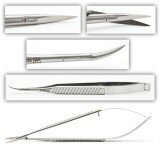 Microsurgical scissors are typically spring handle scissors with delicate blades that are either curved or straight but small traditional ring-handled scissors, such as Bonn Eye, are also used in microsurgical applications. 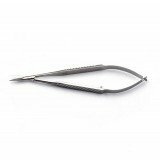 Popular patterns include Adventitia, Mallis, Troutman, and Vannas. 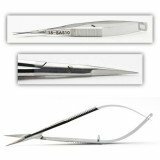 SCISS MICRO 11cm LONG 8mm WIDE HAND 15mm STR.